When’s the last time you were a teacup? As children most of us freely expressed our creativity through music and play, only to find that as we got older our spark of imagination was dampened by an ongoing barrage of urgent and compelling demands. We trained ourselves to be quieter and more obedient, as we trained our minds and bodies to strive and achieve. 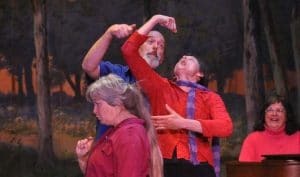 Along the way many of us lost our connection with our playful and creative spirit, and nurture that again can enliven and refresh us. Many of us are aware that everything we sing, say, or think makes its way outward in all directions (to the stars, even, if unobstructed) and that those who encounter those sonic, ultrasonic and radiation waves are impacted by them (at whatever levels). Scientists are also researching the impact of thoughts on our very DNA, so possibilities such as the healing potential of singing on our immune systems are becoming more plausible to consider. The smaller the pieces we examine, the more we seem to find ourselves immersed in a shimmering network of a reality; a vibrating web of life that we impact with every breath we take. I’m fascinated that my love of music, my passion for social justice, and my intrigue with the interrelatedness of personal and environmental health can be considered and treated with the application of heartful sound and music. I’m looking forward to articulating some of my thoughts on these things on this site, my blog and elsewhere. I’m also looking forward to playing music that amplifies these sentiments better than any words. It has been a long time coming, we humans finally getting back to our sonic roots, sinking in, and bringing our full wisdom and unique gifts to bear. A lot of people wish they could just sit down at a piano and make some music on it. Mostly, they don’t expect to ever play like Bruce Hornsby, but they want to play music that’s easy on the ears and satisfying to play. The thing is, every approach to piano instruction and improvisation I’ve ever seen (even the EASIEST ones) are hobbled by the old paradigm of music theory. Playing the Fields is a radically different approach to learning how to improvise. I have scoured the net and have so far been unable to find anyone who is teaching piano with anything like this method. 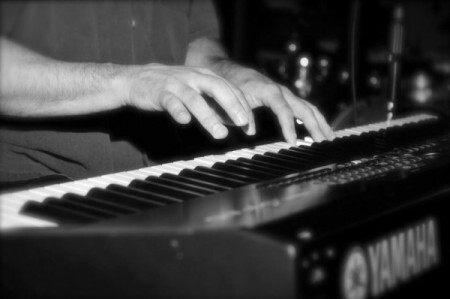 At the end of the first module of this six module course, you will be able to play freely and confidently in any key. You will be amazed at how easily you can see and feel the keyboard, and how effortlessly you can begin “sounding yourself” musically on the piano. Succeeding modules will a) delve more deeply into this framework, b) offer a short, simple meditation to incorporate into your piano time, and c) dramatically expand the creative possibilities for Sounding Yourself on the piano. You can learn and use this system regardless of your previous piano experience. I’ve taught Playing the Fields to people who had years of classical training and also to people with very little time on a piano. If you are familiar with playing traditionally, this approach can help you improvise more freely and confidently. It can also instantly open creative possibilities you had never imagined. If you are new to the piano, this will give you an “on- ramp” to the instrument that will have you playing your own musical creations right from the start. Most other piano instruction is designed to teach people how to play somebody else’s music. Even improvisation instruction typically involves some perceived minimal level of theory (esp. notes, chords, common chord progressions, etc.). With Playing the Fields, though, any student can begin improvising enjoyable music in any key by the end of the first lesson. Imagine sitting and playing music that’s coming from your heart without worrying about sour notes. Imagine your playing filled with tones that are always basically resonant with each other. Imagine playing confidently, while adventurously trying different musical ideas and finding yourself truly enjoying what you were playing and hearing. Imagine exploring and expressing your internal world in the relative safety of a musical container, whether for yourself or others. 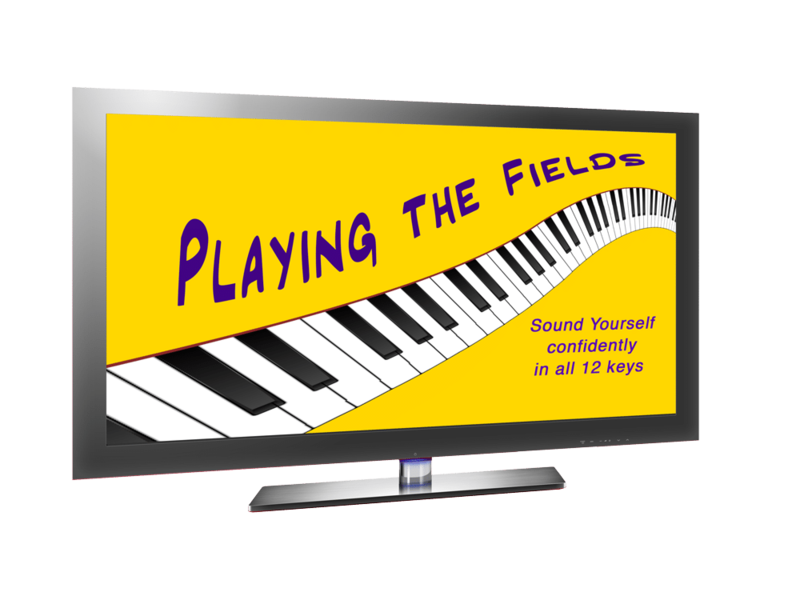 Playing the Fields is designed for doing that – for improvising your own music on the piano in all 12 keys freely, confidently, creatively and with deep satisfaction. For more information, see the Online and One-on-One (limited #) options for Playing the Fields.